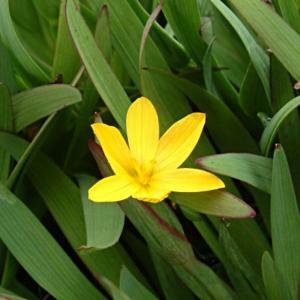 Short-lived semi-evergreen perennial with narrow sword-shaped, grey-green leaves. Broadly winged stems carry a succession of star-shaped, dark veined, yellow flowers in late spring and summer. From seed or by division. May self seed freely in suitable conditions.